Tick tock…tick tock…Christmas is fast approaching dear readers and its high time we showcased some adorable DIY crafts that all of you can make easily at home. When its doing it yourself, how can we miss the ‘oh so readily available’ mason jars? 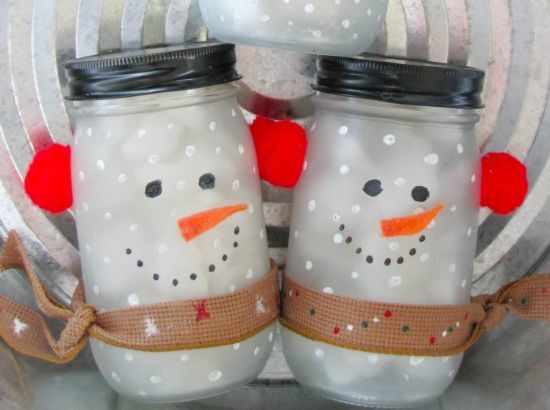 Well, mason jar Christmas decorations are very popular when people plan for a homemade Christmas decor. 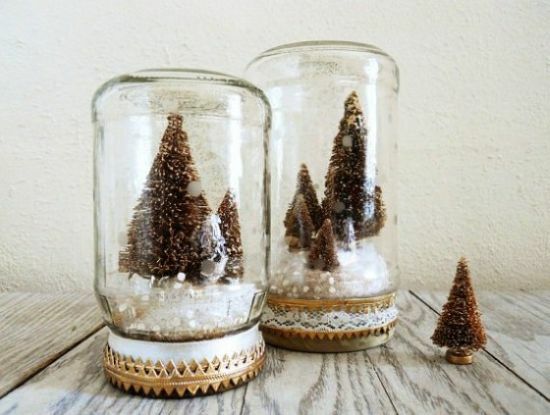 Mason jars look cute when decorated in the right way using creativity. 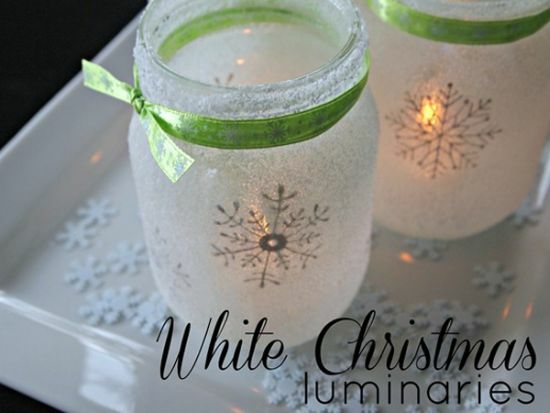 These can easily be transformed into a luminary, a snowman, or a snow globe and be used for Christmas decorations all over the house. 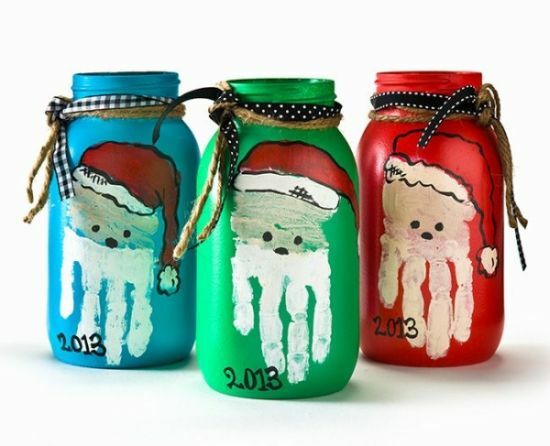 Some of these mason jar Christmas crafts shown today can involve kids too as these are easy to be made. 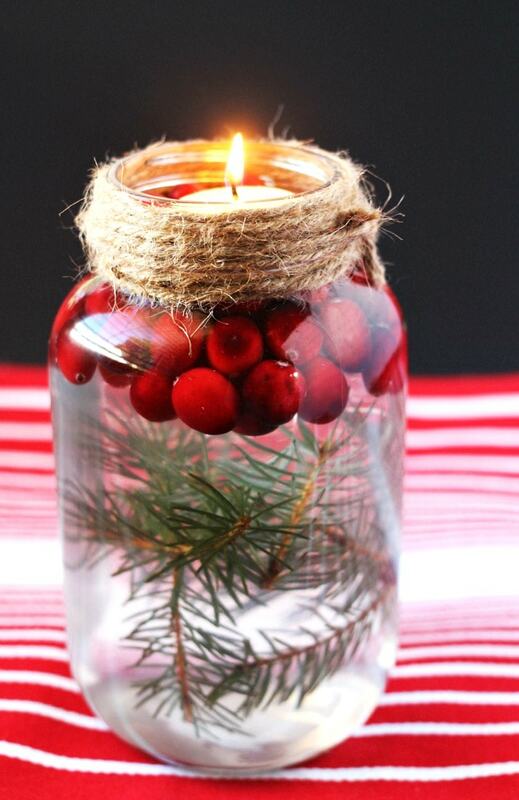 Do try out these creative mason jar Christmas crafts to ring in the festive spirit! 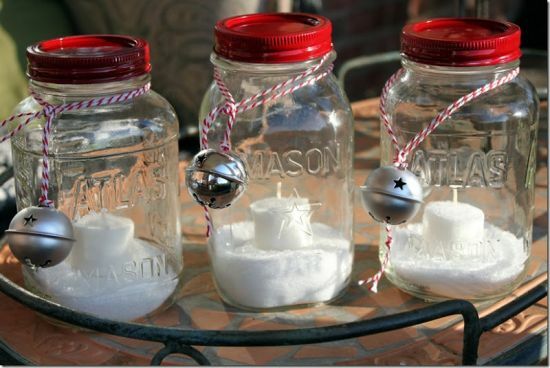 Fill your homes and hearts with the warm and festive Christmas scents with these amazing mason jar crafts that we are about to show you! The festival of Christmas brings with it a feeling of love, compassion and lots of scintillating aromas of spices, herbs and fragrances typically associated with it. Pop open your old mason jars and give these a boost by filling them with fresh or dried spices like rosemary, cranberries and coffee beans. If you always dreamed of having herb planters for this festival, its time now to try crafting mason jar planters for decking up the corners or porches of your home. 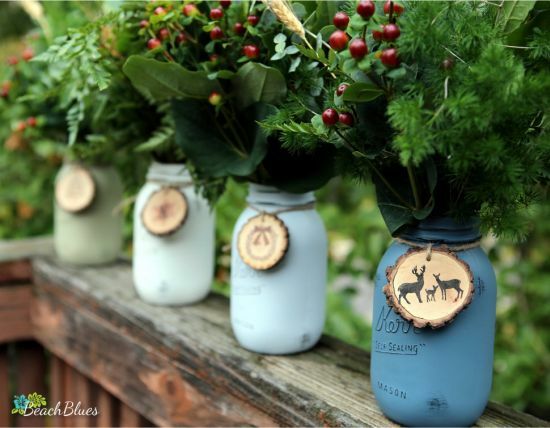 Fresh herbs can be planted in decorative mason jars, just like in the pictures shown. You can spray paint them in any color and then plant rosemary or cranberry plants together. Another cool idea is to fill the jars with essential spice powder packets and bottles and give them to your friends as gifts. Believe us, they will wish Christmas never ended! 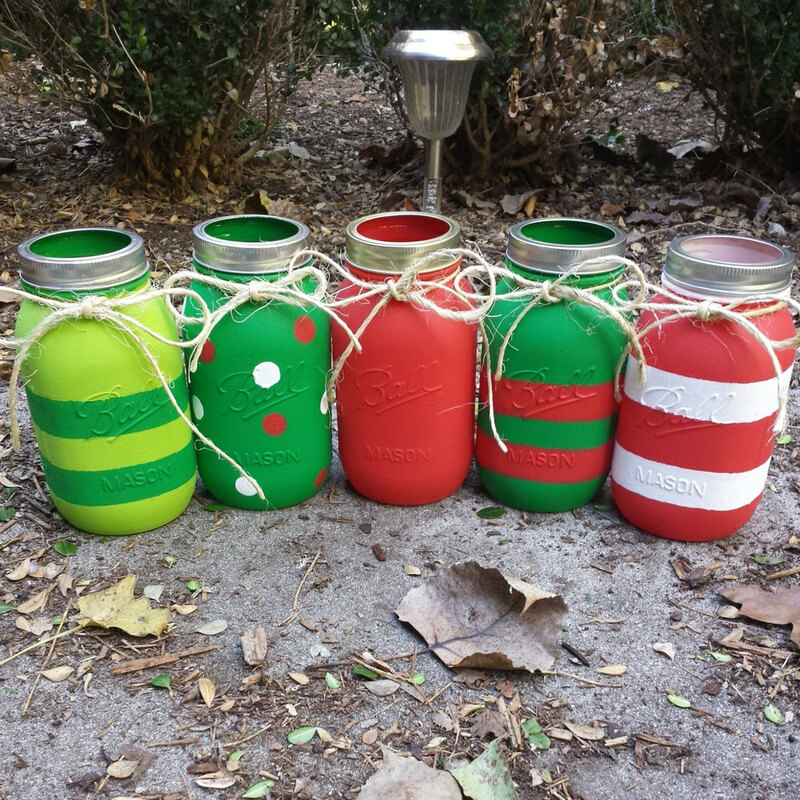 Are you all looking for creative and pretty mason jar Christmas decorations? Well, you have come to the right spot friends! 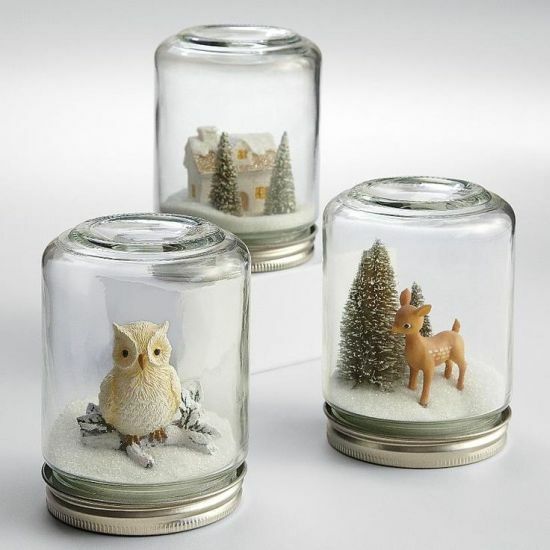 We have presented an awesome collection of snow globe mason jar crafts that will add sparkles to your Christmas. 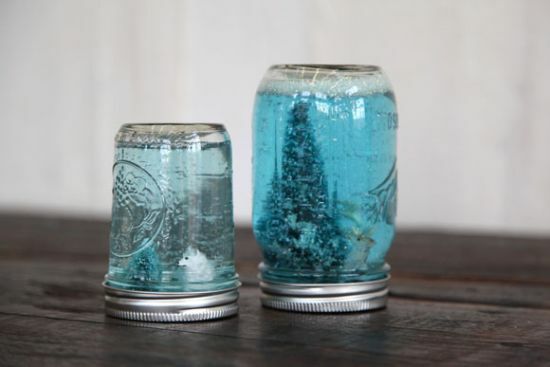 Snow globes can be easily made inside mason jars and are perfect gifts for this festival. 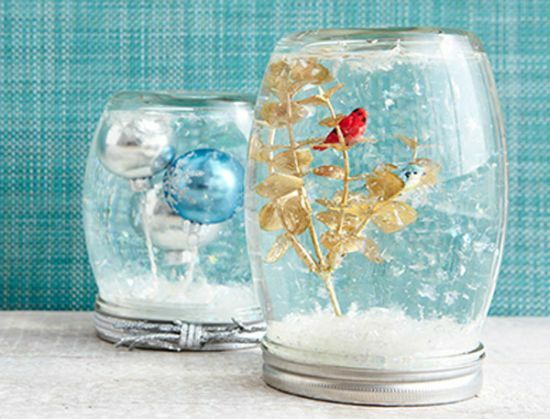 A snow globe looks very pretty and you can make it using either water, salt or glycerin to add that frosty look to your jars. Salt is the most preferred item for creating a dry globe. 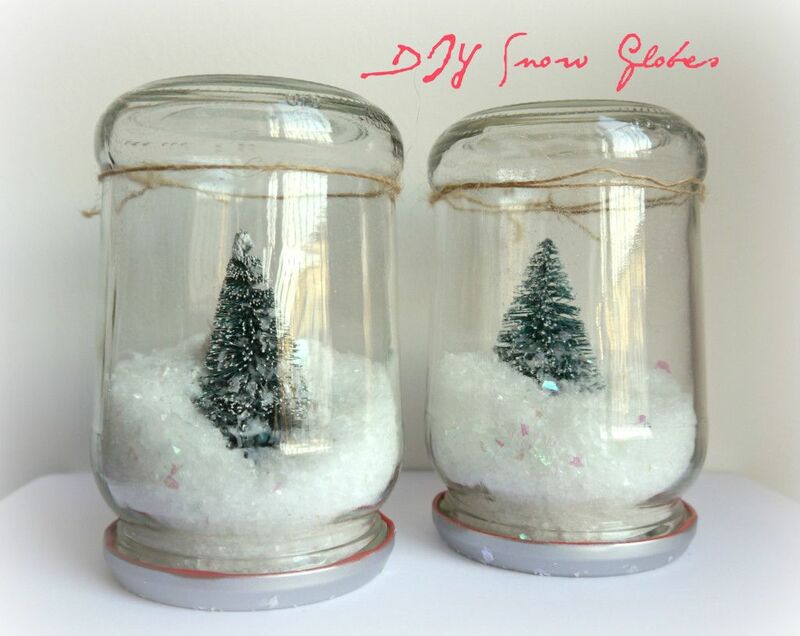 Just remember to use lots of glitter, some cute replicas of miniature cars, trees or snowman. These crafts are suitable both for adults as well as kids, and can be used for gifting purposes too. 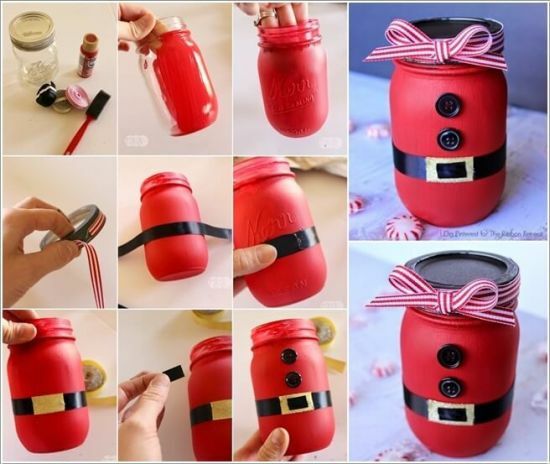 With these ideas, we are sure crafting for this Christmas will be fun! 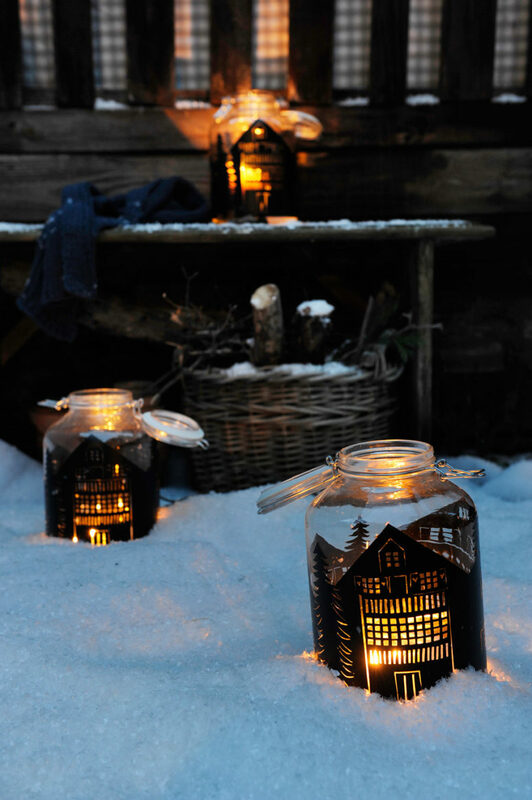 If you are planning to illuminate your homes with creative hand crafted luminaries, do try out these gorgeous DIY mason jar lanterns presented below. 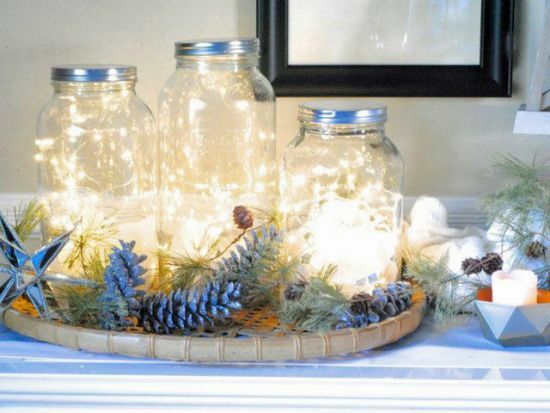 This year, most people are talking about decorating their houses with mason jar lanterns in various designs and colors. This is because these lanterns are simple to be crafted and also do not cost a bomb. Now, you too can create a white snowflake designed mason jar lantern just like in the image below. Use frosting and paints to create this awesome look. 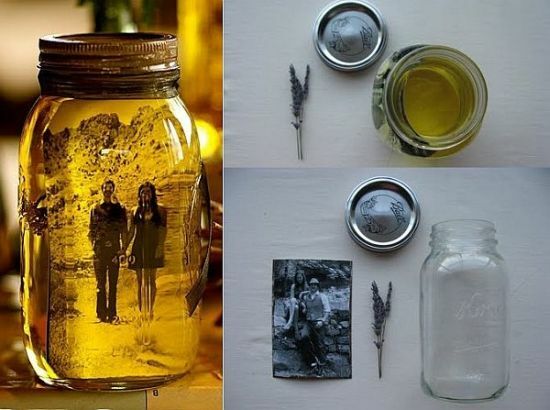 A little unique idea is to make silhouettes of any design – a house, or a Santa, or a tree inside a mason jar by making use of things like adhesive films and candles. 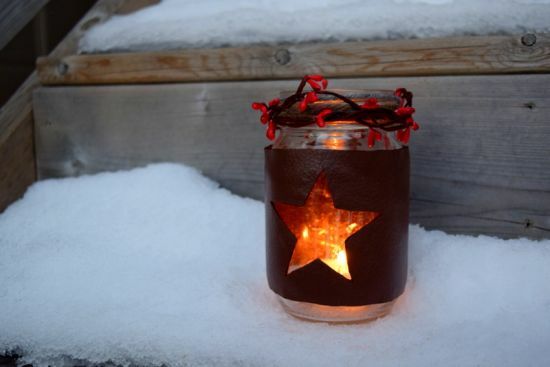 A mason jar luminary with a silhouette that glows with a candle looks simply perfect for decking up the winter homes. 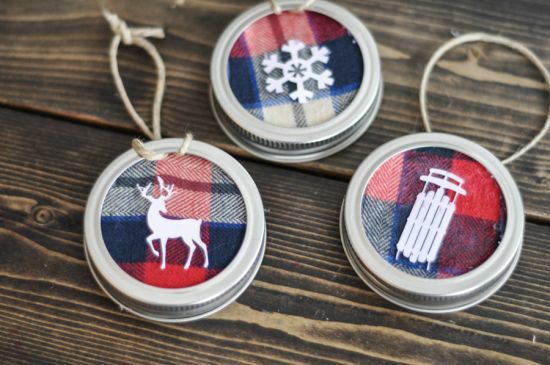 Try these crafts and you will keep repeating them year after year! Have you always wished that you could decorate your Christmas home using pretty looking candle centerpieces that you always saw in decor magazines but couldn’t as the price was too high? If that’s the issue, then worry not as these mason jar candles will make your dreams come true! 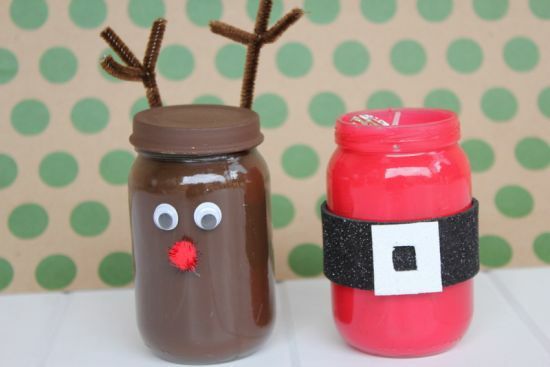 Mason jar candles for Christmas must look festive, and now, anyone of you can craft these cutesies without spending a lot of money. 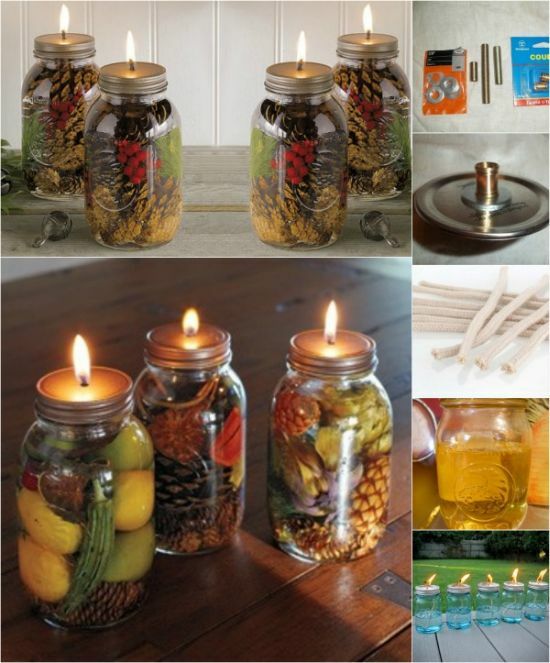 All these ideas shown below are budget friendly and all you need are a few things ordinarily available in homes like candles, jars, strings and paints. 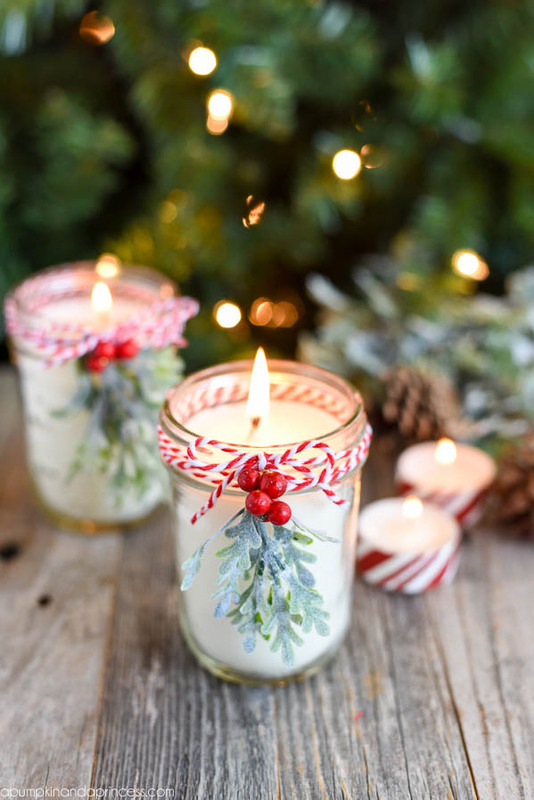 For making peppermint candles, you can start frost painting your jars, and then melt the candle wax, and once its done, add some fragrance like lavender along with some color and pour the mixture inside the jar. Voila…your peppermint candle is ready! Christmas is a festival that’s meant to be celebrated with cheer and must look colorful. What better way than to deck your spaces with hand painted mason jar Christmas decorations? 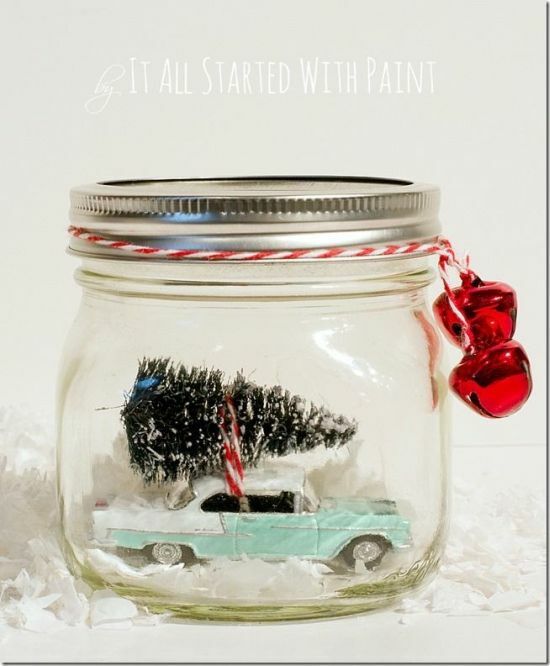 One of the simplest ways to decorate mason jars is using paints, either normal or chalk. 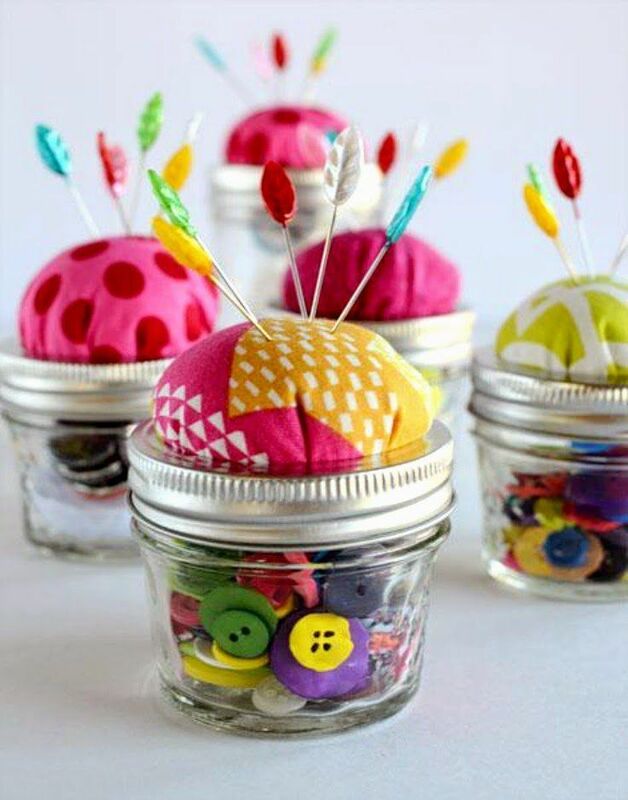 The craft ideas shown here are easy, and super fun to do. Even children can make these without any guidance. 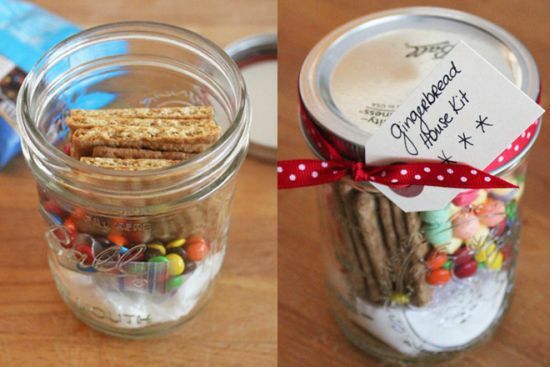 Merely gather some old mason jars and clean them. Collect some paints, either glossy ones or chalk. Then think of some design that you want on the jars. Now, get set ready to apply fine strokes of your brush on the body of the jar using colors like green, red, and blue to make creative designs of reindeer, Santa or tree. How about trying something unique and different this Christmas? If you are tired of gifting the usual store bought gifts for your friends and family, here are some pretty neat gift ideas that can be crafted at home. Gifting need not always have to be an expensive thing on your agenda. You can also personalize your gifts with your signature style. And there is one very easy way of personalizing Christmas gifts – the quintessential mason jar seen on every kitchen rack! 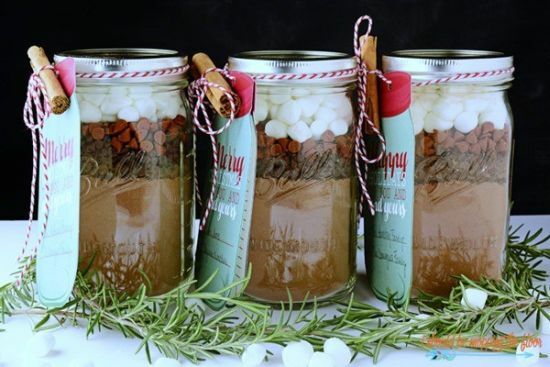 So, chuck going to the store, and instead, get ready to create unique gifts using our cool collection of DIY mason jar gift ideas. 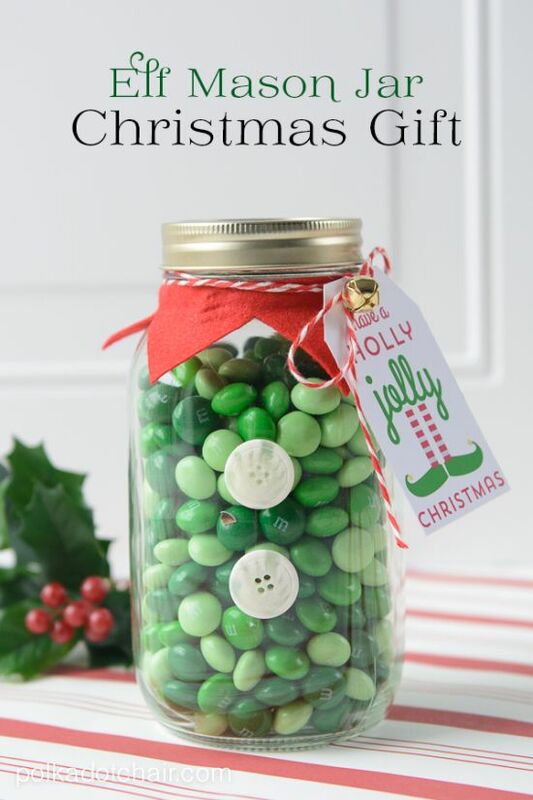 Most popular gifts include mason jars filled with Christmas candies or chocolates. But, if you are thinking a little out of box, you may even assemble a gorgeous miniature cosmetic collection inside these jars for your female buddies. Spice fills are also common for Christmas parties. There are several gifting ideas that you can use for a fun Christmas this year. Do try one of these! 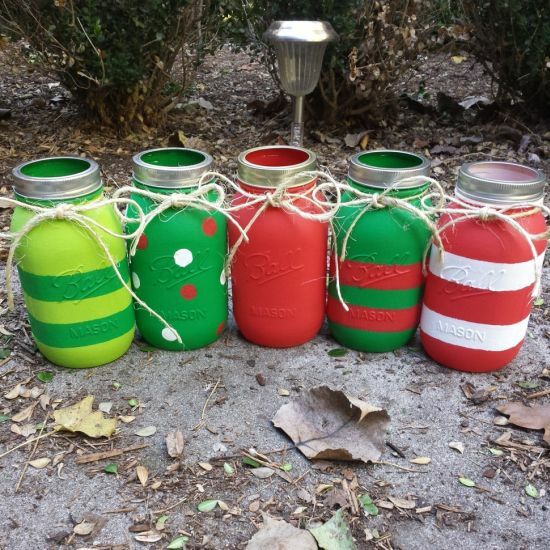 Mason jar Christmas crafts are very much in demand this season and every one can craft these babies for a grand Christmas celebration. 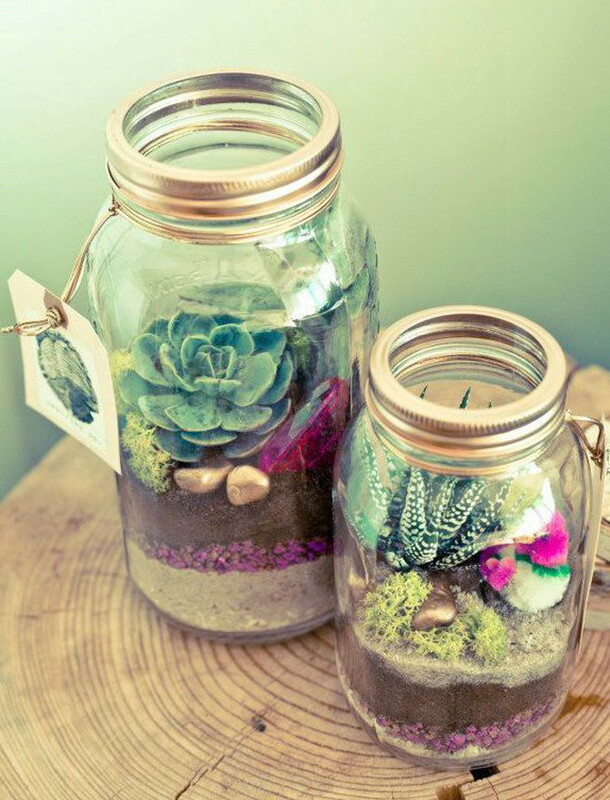 If you have a good collection of mason jars, you can craft out any number of decorative pieces out of these. But, in no case should you throw away the lids. 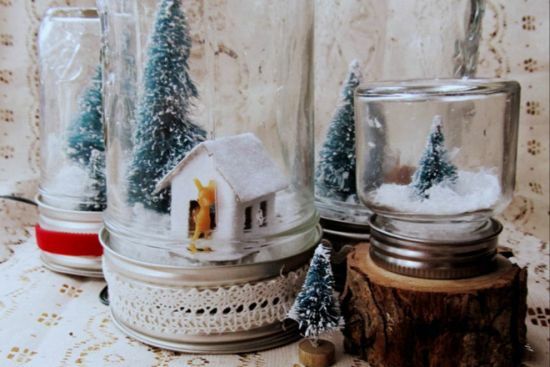 Lids of jars can also be crafted for decoration and here are some pretty innovative ideas presented. 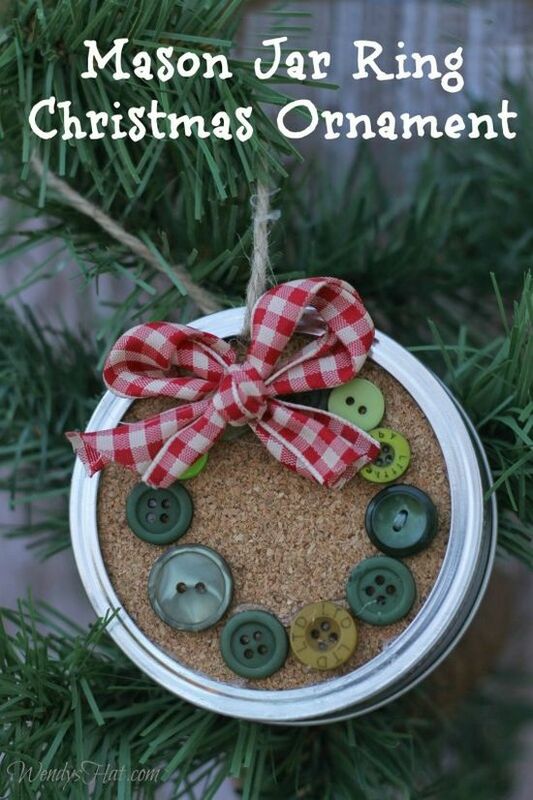 If you have old cots wool T-shirt, woolens and card stock, you can craft lovely looking lid ornaments for your Christmas tree. Simply clean the rims of your lids and then cut out pieces from your T-shirt in the shape you want. After sticking these pieces inside the lids, paste cutouts of reindeer, Santa or a tree in white using card stock. These lid ornaments can be hung on a Christmas wreath outside your main door, or on walls as wall decor. Christmas and children go hand in hand and there is no way that you exclude these youngsters in making cute Christmas crafts. Kids must participate in making festive crafts along with parents as it helps in family bonding, plus it also encourages creative thinking. 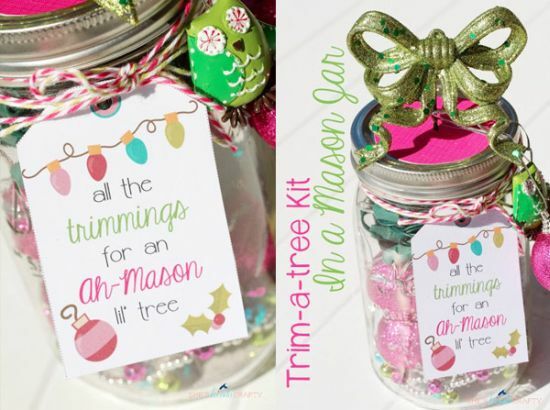 When it comes to arts and crafts for holidays, there are a variety of ideas available. Today, we are talking about using mason jars to create lovely looking decorative pieces. 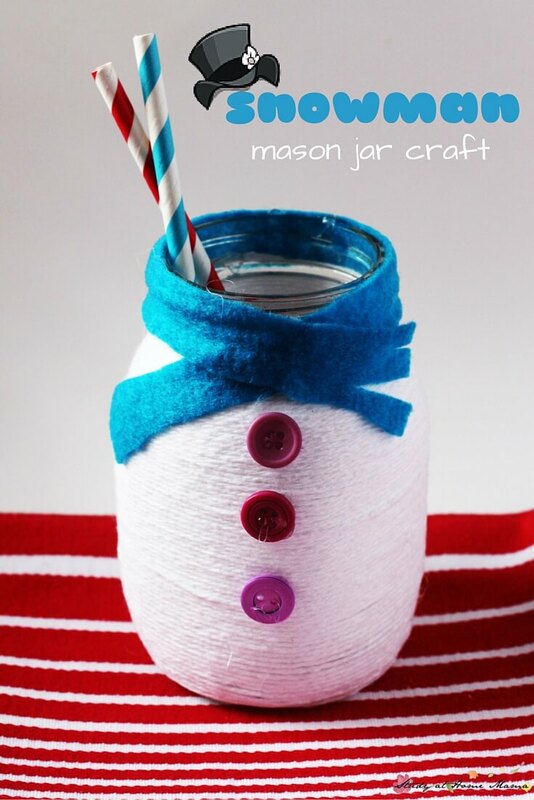 For starters, you can help your kids create a snowman mason jar that’s easy for the tiny hands. 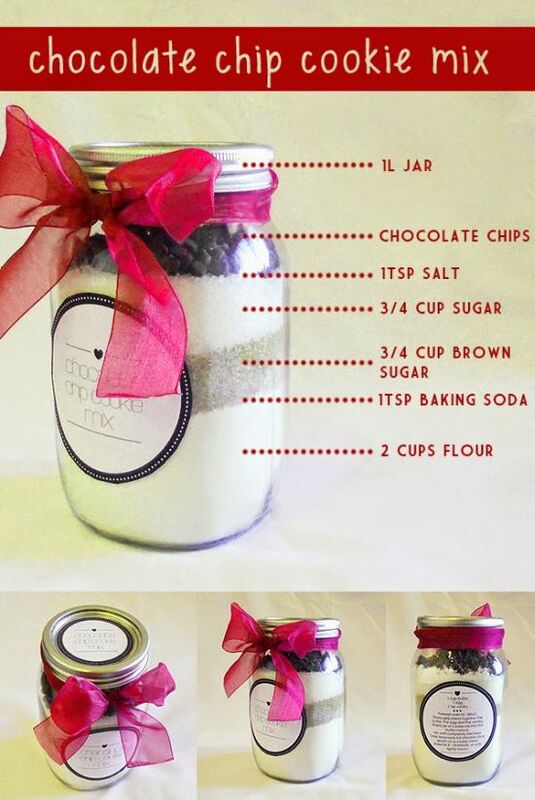 Help them to frost paint the jars first, and then start with the lids that need to be painted with black. 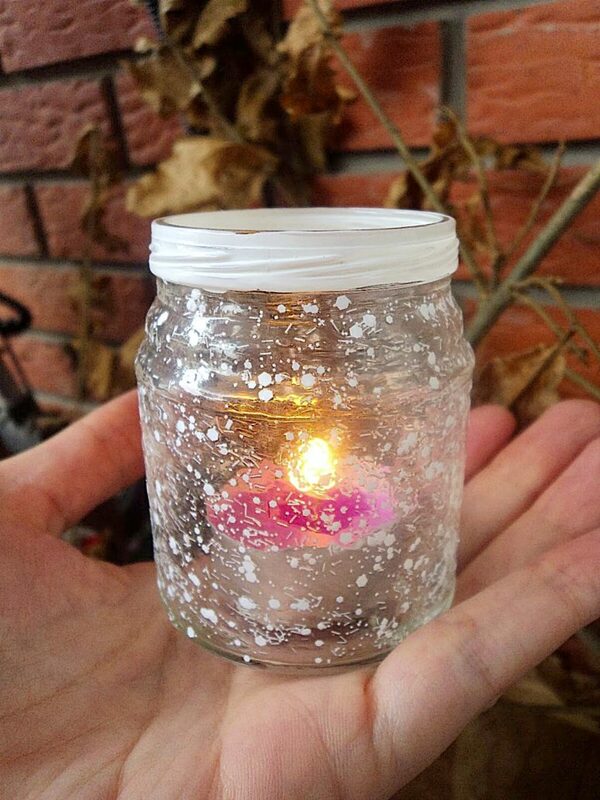 Using white nail paint, your kids can make dots all over the jar. Then, for the nose, ears and mouth, take pieces of felt and attach these with glue. Voila….your kiddo has crafted such a cute looking snowman! Similarly, kids can hand print on the jars and draw teddy faces topped up with red Santa hats. 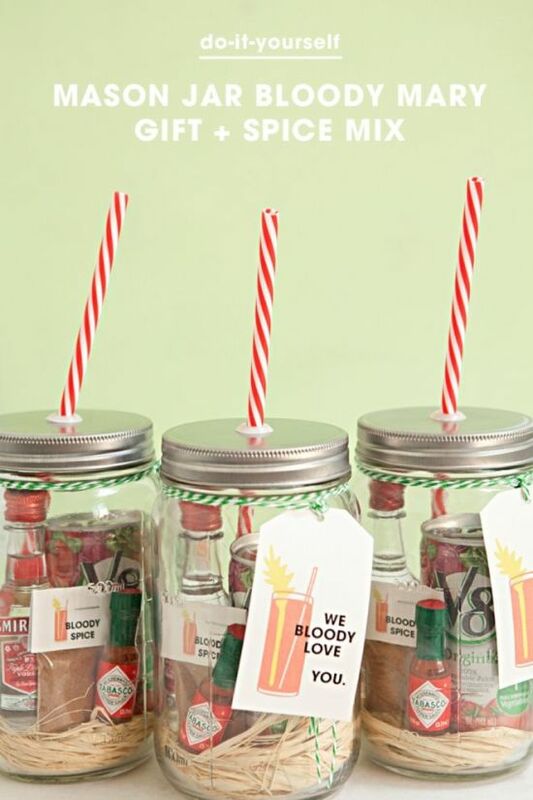 This idea is shown in picture number one and is perfect for gifting too. 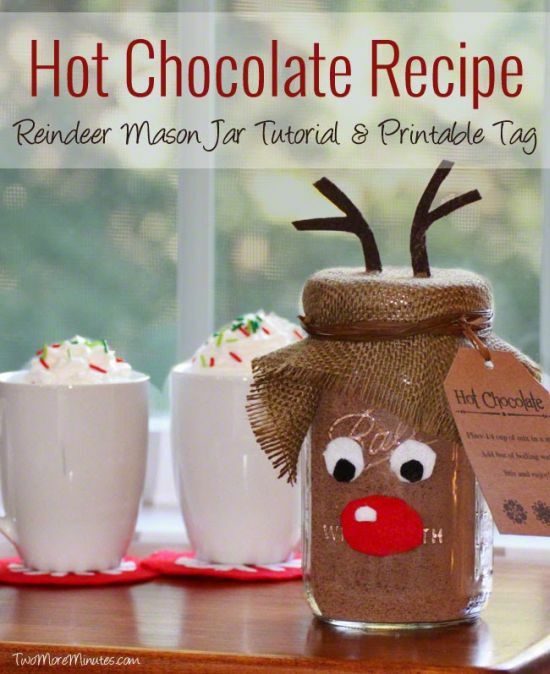 From snowman, Santa, to reindeer, there are numerous mason jar Christmas decorations that your children can make without any difficulty. Santa is coming to each one of you soon and hence you must all prep up your homes to welcome him with open hearts. The year 2016 is all about trying different kinds of decorations that can be materialized at your own homes. Personalize your decor and make use of ready to use things like mason jars. 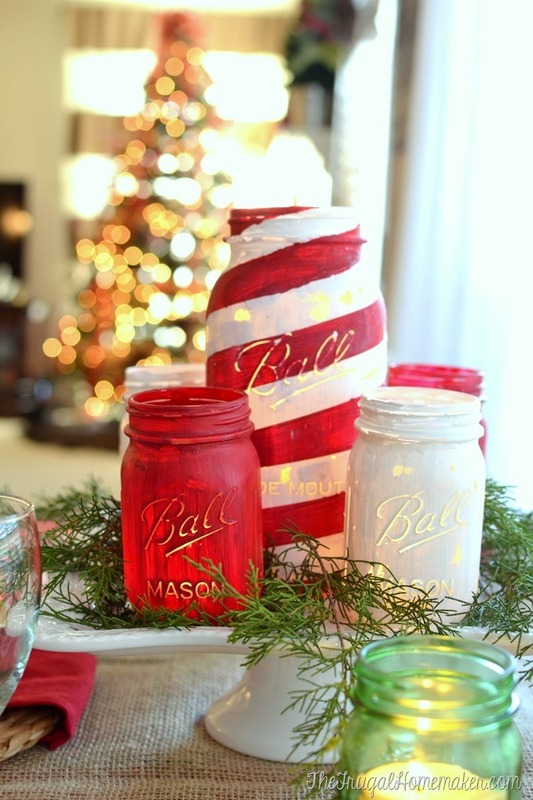 Mason jars are perfect tools to be used for decoration as well as gifting. 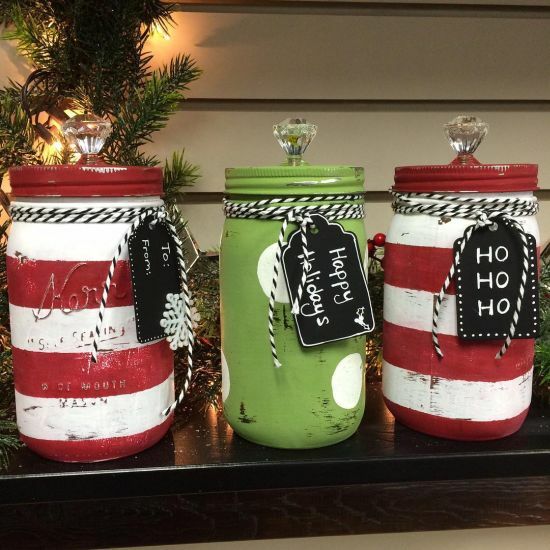 From mason jar lantern ideas, re-purposed jar lid ornaments to snow globes, the post today has showcased a cool variety of 37 mason jar Christmas decorations. Try these and ping back with your comments.